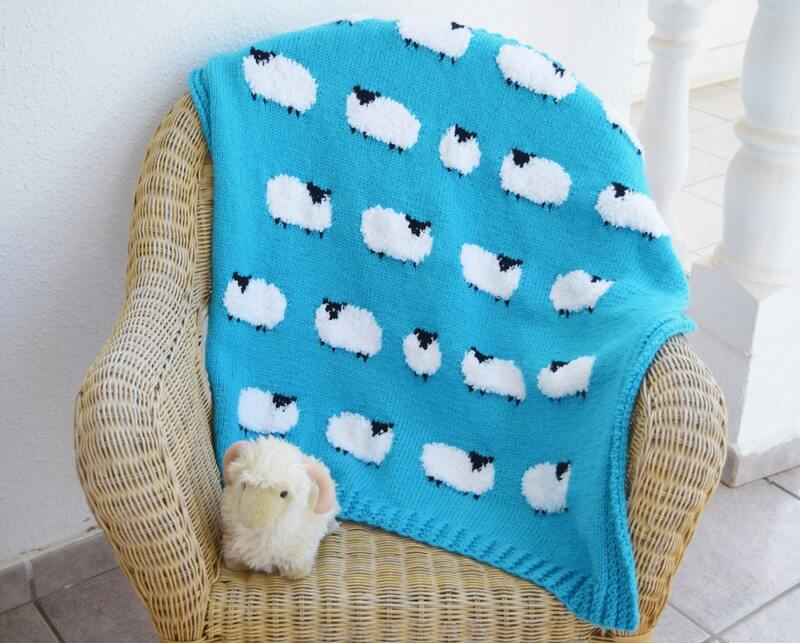 A very cosy and unique blanket/throw featuring a flock of fluffy sheep. 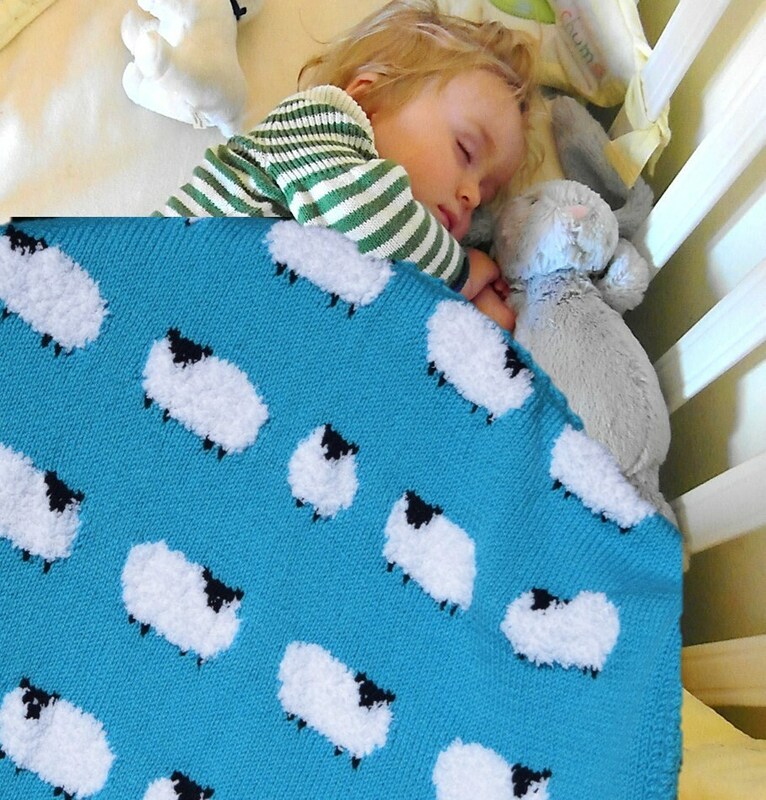 Perfect for snuggling up on the sofa with your little one. 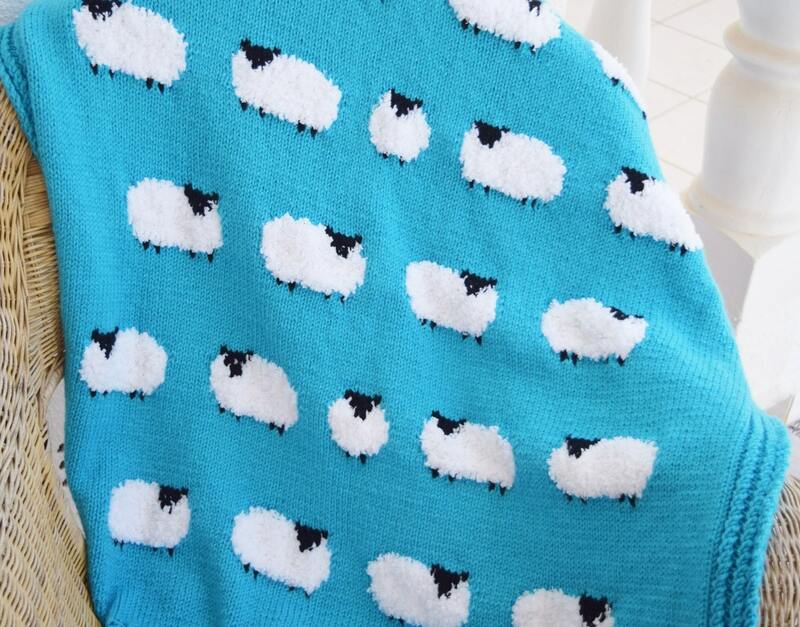 Easy to knit in stocking stitch and a coloured intarsia chart to follow for the sheep. 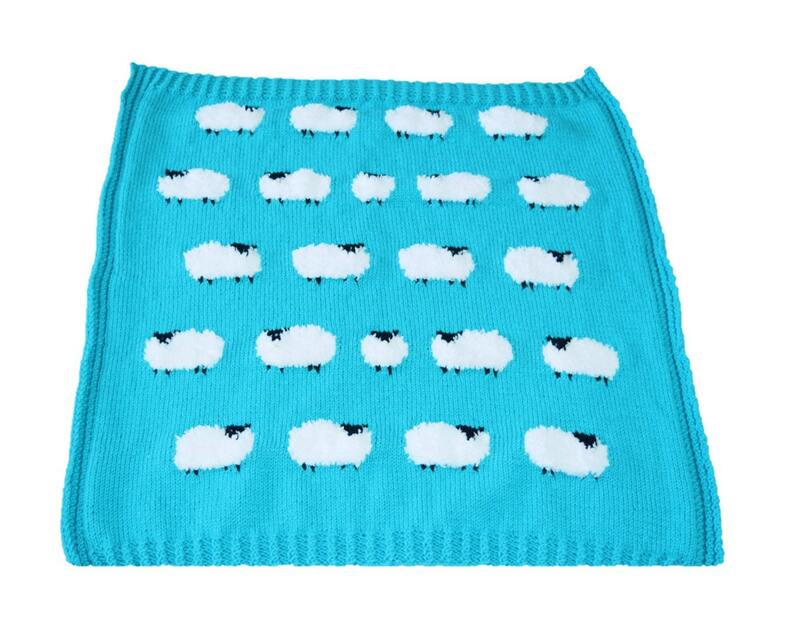 There is a twisted rib border around the blanket which you knit as you go along and this avoids the edges curling.